Don’t despair if you fear your iPad has been lost (or stolen). 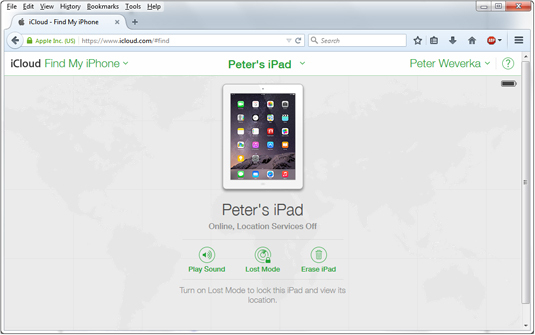 You can, with the Find My iPad feature, make your iPad beep and thereby find out where your iPad is located. 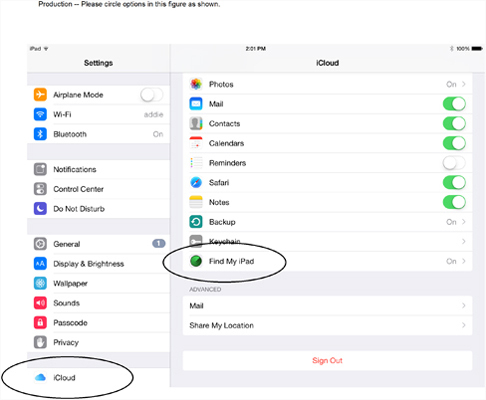 If you think your iPad is in the wrong hands, you can clear all the personal information from your iPad with the Find My iPad feature. On the Home screen, tap Settings to open the Settings screen. Look for the Find My iPad setting. If this setting says “Off,” follow the rest of these steps to turn it on. Tap the word Off to open the Find My iPad screen. Turn on Find My iPad. Tap Allow in the Find My iPad pop-up box. On a computer or other device with a browser, go to iCloud at this web address: www.icloud.com. Tap or click Find My iPhone (that’s right — it’s Find My iPhone, not Find My iPad). The iPad’s name and image appear if you have one Apple device. A notice telling you how many devices were found appears if you have more than one Apple device. Tap or click All Devices at the top of the screen and choose which device is lost on the drop-down list. Choose an option to locate your iPad, lock it, or erase personal information on it. Play Sound: Your iPad starts beeping so that you can find it. Tap OK on your iPad screen to make your iPad stop beeping. Lost Mode: Locks your iPad screen. Wherever it is, whoever has it must enter the password to make it run again. Erase iPad: Erases personal information from your iPad. Choose this option if you know for certain that your iPad has been stolen.